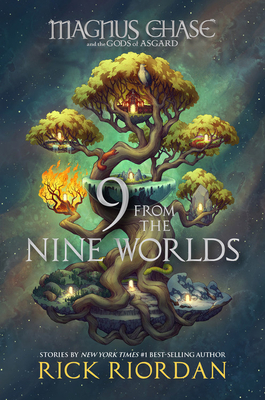 The Magnus Chase and the Gods of Asgard trilogy may have concluded, but we haven't heard the last of our favorite peeps from the Nine Worlds. Join Hearthstone, Blitzen, Samirah, Alex, Jack, T.J., Mallory, Halfborn, and more on a hilarious and unforgettable journey through Rick Riordan's unique take on Norse mythology. While Magnus is off visiting his cousin, Annabeth, his friends find themselves in some sticky, hairy, and smelly situations as they try to outwit moronic giants, murderous creatures, and meddlesome gods. Can they stave off Ragnarok at least until Magnus gets back? Rick Riordan, dubbed "storyteller of the gods" by Publishers Weekly, is the author of five #1 New York Times best-selling middle grade series with millions of copies sold throughout the world: Percy Jackson and the Olympians, The Heroes of Olympus, and the Trials of Apollo, based on Greek and Roman mythology; the Kane Chronicles, based on Ancient Egyptian mythology; and Magnus Chase and the Gods of Asgard, based on Norse mythology. Rick collaborated with illustrator John Rocco on two #1 New York Times best-selling collections of Greek myths for the whole family: Percy Jackson's Greek Gods and Percy Jackson's Greek Heroes. He is also the publisher of an imprint at Disney Hyperion, Rick Riordan Presents, dedicated to finding and promoting other authors of mythology-based fiction based on cultures from around the world. Rick lives in Boston, Massachusetts with his wife and two sons. Follow him on Twitter at @camphalfblood.